“The High School Career Expo” has announced the dates for their national tour starting off in Roodeport this month. 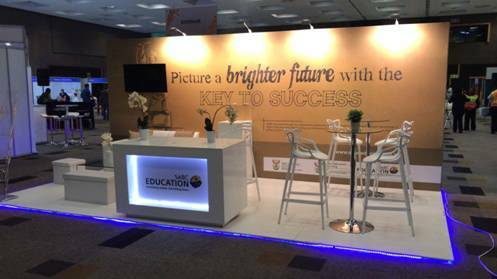 South Africa’s favourite careers exhibition is designed to provide both primary and middle school students with opportunities and guidance for choosing a high school and selecting their subjects. Prospective students will be able to meet with representatives from a wide range of universities, technikons, colleges and other tertiary institutions. They will also gain insight and career advice from leading field specialists to better understand the expectations and roles of their potential professions. The Student Expo aims to feed students with the valuable knowledge to make educated decisions regarding their future through discussions and presentations. Students can also learn how to secure student loan and even bursaries. They will get advice on how to manage finances when living away from home, should you take a gap year or not as well as share information with other school leavers and parents. An exciting addition to the programme is that of inspirational, guidance and mentoring platform, Pride Factor, who have partnered with the HIGH SCHOOL CAREER EXPO and will be hosting live talks and interactive programmes throughout the national tour. Well known for inspiring tens of thousands of students each year, Pride Factor will be offering out opportunities for all the youth in attendance. The events run over two days and are FREE to attend – Stay in touch with us via the website and social media channels below and don’t miss out this exciting opportunity to get a head start on your future in 2018!